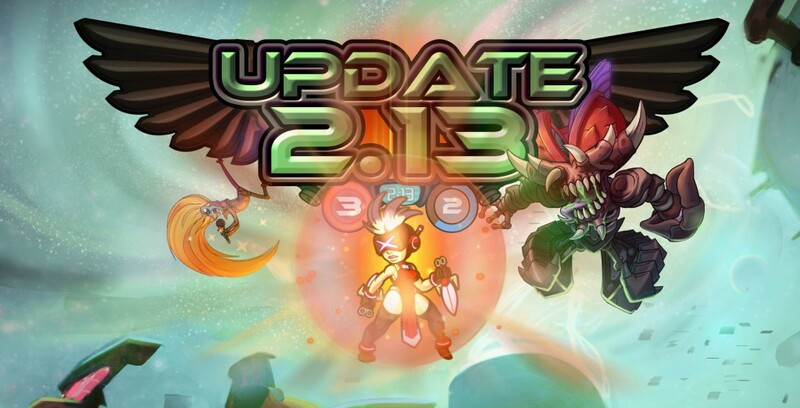 2.13 Super Symbiosis is out! The Update offering the new XP system, the Specimen X-58 skin and the Rockstar announcer is out now! Get playing and try that sweet new and steady flow of ingame progress today. From now on during a match of Awesomenauts your team will get XP for destroying droids, turrets and other ‘Nauts. Gathering XP will make your team go up in level, which in turn will increase your health and total damage output with a fixed percentage. To prevent one team gaining too big of an advantage over the other, the rewards will be bigger for the team that’s behind. All in all, the system makes matches more dynamic and exciting. It also allows us to further improve the item and character balance, because items will no longer be the only source of additional damage output. So check it out, and have fun!